People usually make some simple mistakes while selecting a simple hard disk for there desktops and also for there external data use (i.e) External Hard disks. You should never buy a hard disk without following some simple set of steps which i am going to tell you now. Most of the people will buy hard disk’s by seeing just the capacity. Like 320gb, 500gb or 1 TB. Always remember that size doesn’t matter always. There are some other things which you have to make sure you find them in your hard disk, for example whether the hard disk is a good RPM (Revolutions per minute) speed or not. Which means whenever your data is being processed like reading, copying, it will completely depend on RPM speed. You have to select a hard disk which has a minimum of 4500 RPM and also remember that the cache memory should not be less than 20mb. The data transfer in a eSATA interface is a lot better when compared to other interfaces. If you want your hard disk to be less expensive its better to go with a 2.0 USB interface and make sure that whatever hard disk you are buying has a minimum of 1year guarantee. Must Follow Tips to Buy a Good Hard disk. Before buying a external hard disk, its always a better choice to upgrade according to the requirement. If you want to store your data in TB’s Instead of GB’s, then go with Western Digital WD Elements Series. These come from a range of 500gb to 2TB and come with a 2.0 interface so that you can easily connect to your system.These series starts from Rs:3,100 ($68 – $70). Seagate Free agent Go. 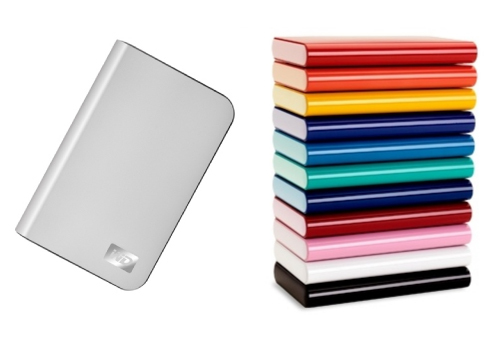 Pocket Portable External hard drives starts from 250gb and costs around Rs:2450 ($50 – 52). If you want a cheap and a best hard drive which fits in your pocket easily, Then go for Hitachi X320 which is a 320gb Hard disk and comes at a awesome price of Rs : 2,400 ($50). if you want your hard disk to be in size of a passport, Then you got another great series of external hard drive in WD. Its Western Digital My Passport Essential, which comes with a capacity of 320 GB with good 2.0 interface and at a amazing price of Rs : 2,950. If you want your hard disk to be more better and faster in performance ?, then go for Toshiba Canvio. Which starts at 320GB capacity and ends at 1TB. The best part of this hard disk is that its a 3.0 Interface at a awesome price of Rs:4000 (750GB). There are some other alternative hard disks for this list of above hard disks. If you have not heard about LaCie HDD, then go find some info on it, It comes with a 1TB, 7200 RPM. 3.0 Interface, R/W Speed, 35.6 MBPS, 37 MBPS @ Rs : 3,400 only. Another great hard drive is Iomega Prestige which comes with a 500GB, 2.0 Interface @ Rs : 3130. The last one is a Transcend StoreJet 25 mobile AntiShock portable hard drive which comes with a 500GB capacity, 2.5 Interface @ Rs:2975. These are the top class hard disks which are now ruling the market. If you want to buy a new hard disk, Always remember to check the RPM and the warranty. Please let me know if you have any queries. Can u mail me where can i buy 500 gb or 1 tb hard dish arround 4000 rs with min 3to 5 years warenty. Good article. I have a Seagate 500GB ext hard drive. I recently heard of an external hard drive with a small display of folders and audio/video powered by USB OR power cable. I need such a device since I am into wildlife photography and need to store/view stored photos without lugging around a laptop. Please help if you know of any with reasonable price/quality and >=320GB. Great review Satish..just wanted to know the best external hd’s in terms of price and performance with 1 TB capacity.Thank You!! Hello, The best hard disk with 1TB capacity is WD passport. You can buy that blindly without even having any other thoughts. Very good guide I must say you really did cover every angle. I find that when choosing external HDD’s apart from the performance questions such as RPM and memory capacity is whether you need a portable hard drive to take to and from work places or just an extra to sit beside your desktop or laptop at home offering addition storage. Also choosing one of the new wireless versions can save having more wires cluttering up the place. Thank You very much for your answer … I will definately take that HDD . It’s a pleasure getting your reply… I’m a student of BCA 1st Year in PU(Patna Univ.). One more Query : Will you recommend a Hard Case & a USB Y-Cable for WD Elements SE 500gb. Please Reply . Depends on your requirements. But for me i would say no. @Shaheel… As i mentioned in the article above that, there are many harddisks in market now.. The only thing you have to make sure is to know about the requirements and your budget. Since you have said your budget and requirements, i would suggest you to take western digital essentials external hdd which is around 4600/- INR. i would say that this is so far the best hdd in market now. You can try even the My passport essential SE. I am planning to buy a portable (slim size, less weigh) hard drive with good speed and doesn’t need any power requirements/adaptors. Can you suggest a good one and thatwill also last longer and user friendly (For eg, has data backup, safe/secure lock/passoword authorized and comes with pre-loaded software and works in Mac books too). Looking for sizes of 500gb or more. Sir ,i am planing to buy Seagate External 3.5 Inch 1 TB External Hard Disk (Black) is it a good choice.? Try to go with WD if you have a good budget. Western digital is really worth buying.. I am planning on getting 1TB portable hard drive and was thinking about the new Transcend Storejet 25H2p which is the latest model in the shockproof series..what do you think about the hard disk? I browsed for some review on it but since it is a new model there were no good reviews..i am not a big fan of the WD My Passport series because of its glossy finish and hence i am confused between Transcend and WD Elements SE. I currently have a seagate freeagent go 500 (almost for 1.5 yrs) and faced no problems till now but i don’t think they have a 1tb version fro the freeagent go..so what is your opinion? Is the new hard disk reliable? If you want a 1TB portable HDD and must have all the features and good price, then i recommend you My Passport Essential which is around 80$ and considered to be the best of all the hdd at present. You can get the StoreJet for 75$ but the help and support will be little less when compared to WD and Seagate. And if you want a different and a new hdd with good performance and support, then go for Clickfree C2N HDD. but this is a bit expensive from others. I would say that, if you want performance, its WD, Seagate or Clickfree. But u can still try transcend anytime. I would suggest any one out the 3 mentioned above..
thank you for your prompt reply.As i mentioned before, i am not a fan of the passport series and hence went for the new transcend Storejet 1tb and got it today morning for Rs.5000 with 3 years warranty. As for the service centre, in case of any problems, is pretty near to my house. The drive itself is very good with an awesome build quality and it hardly makes any noise.Overall its a very good drive. That’s really cool to know. I hope the device will perform good, if you maintain it well. thanks for this ultimate review…. actually i googled lot for portable hdd and after watching many things i finalized to buy one of Buffalo,Iomega and lacie .as you have not mentioned buffalo but based on your experince i think you can help me amoung these to which to buy.i am studing BE in computer engineering and wants to about these three manufacture in little bit more details. plz give me some sites where i can buy WD or segate 1 tb portable external HDD at cheaper rates …..! You can get them in amazon.com or ebay.com in a secure way..
Hey there, I was just wondering what you would recommend for a custom build. I have a $300-$500 budget and would like two or four (whatever fits the budget) hard drives. I am going to utilise RAID 0 to ‘link’ them and was wondering if you have any recommendations for some hard drives totalling around 1TB. They must be reasonable speed and if possible, low cost. I want to recover my data from my external HDD. Will you please suggest the best shop for that in Patna and what cost for the recovery ? i m facing some problem to open fb,youtube ,twitter etc due to cyberroam problem . even all softwares as ultrasoft, proxifier ,ultavpn ,torr etc are blocked . so can you tell me how to bypass /overcome this cyberroam problem ???? can you tell me( the download link) of any new strong proxy software to prevent cyberroam from blocking fb and others . Hey nil, if you would like I could add the tor installer to my public drop-box folder and give you the link, as long as you can run .exe’s that should work fine for you. (This is a review about hard-drives so I am not sure why you posted here but feel free to e-mail me at ooloops@yahoo.com.au if you would like the DL link. mr ooloops ………..dear plz read carefully before replying …………..i had already mention that tor is not working ………….. i think its not possible to break the latest secure network of cyberroam . that’s why even satish don’t know how to break into cyberroam . so he is not replying …………. even ultrasoft 11.03 is not working ) ………………!!! i have a seagate portable hard disk of 1 TB .. but my interface cable (connector) of my hard disk is damage ….. can i buy only that interface cable….. i have ask in many shops of computer for that cable but response was negative…… plz tell me some solution becoz i don’t want to replace my hard disk right now…. becoz in my hard disk the is lot of data (700gb). so give me solution as soon as possible…. Where exactly you stay ? Bcz there are a lot of online shopping sites now in India. You can order them via Amazon or Flipkart now. So check that option is available with them or not. if yes, then book a better one from amazon. I am confused between Wd My Passport 1 Tb and Buffalo shock proof mini station 1Tb turbo power. what do you think which one I should buy both hav equal price ie Rs 5500 .Please help me and if posible please reasons also. I am looking to buy a 1 TB external hard drive (seagate/WD/Maxtor). But I am confused between external HDDs that use power and the ones that don’t use power. A few of my techie friends have advised me against buying a portable HDD and their reasoning is that since a 1TB 5400/7200 HDD will draw a lot of power from the laptop, even normal usage will reduce the life of the battery and it may even make the battery unstable. I have been googling a lot to verify this but have not found anything useful. Hi.. I want to buy a portable hard disk that is very high on performance (data transfer speed mainly), reasonably priced and good after-sale services.. My budget is restricted to Rs. 6000. Please advise. Your response for my query is really appreciated. How is Imation Apollo M250 1 TB 2.5 Inch Portable HD with Rs.4875/-…. I did quite a bit of research myself, and I have zeroed in on Hitachi Touro Mobile Pro. Thats my 1st and most sought for option because of its 3GB cloud storage and 7,200rpm (more than all others). Additionally, it looks far more better than WD or Seagate ones. I have just one problem. There is no place where its available in Mumbai, India. http://www.newegg.com does not ship to India at all. I am really willing to buy this asap. If you could help me with this, I would really appreciate it a lot! I want to buy a 2tb external hard drive(with USB 3.0) without external power..
so plz suggest me that which one will be best either western Digital(WD) or other one like Seagate..
and which have a best performance(RPM)…. yesturday only i bought WD My Passport 1tb HD, but it shows only capacity of 930GB…. then while to complete copying(means at finish level 5 secs remaining) it take some time to complete. Yes, 1TB hard disks show the capacity of around 930GB. Because what ever the hard disk size it is, it takes 2 to 3% for recycling things. Thats a shared memory which is common for all the hdds. Also the problem you mentioned can be solved with a defragmentation or the files in that folder are extremely big. Not big its 700MB only………..
k….what are the tips to manintain lifelong use of HDD….without creating problem. How about the Buffalo Ministation series, you didn’t talk about that at all. I want to gift 1TB HD. please suggest which would be the better. Thank you for your prompt response Satish. Kindly let me know the best model in Seagate (USB 3.0, 1TB HDD). I have a laptop HP /Compaq NX7400 with a hard disk of 80 GB. I want to upgrade to 320Gb. Will my system support 320GB hard disk. Thank you for your advise. Presently I have 1.5 GB RAM. What should be my optimum RAM? My OS is Windows 7 and currently I have no problems with speed. I recommend you get at least 3 GB or preferably 4 GB of RAM. I WANT TO BUY NED HARD DISK, I HAVE COMPAQ LAOTOP WITH 2 GB RAM, I want it for storing photos, videos of my baby for future, so kindly suggest me hard disk which willl be best suitable for me. my budget is around <5000. also help me regarding security, whether dat data wil be secured? and wht abt those disks which r already loaded with software? r there any advantage of them? plz help and guide me. You can get Western Digital Passport Essential 500 GB, it comes with a lock software and is accessible only when you put in a password so it’s pretty safe. I want to buy ext hard disk. I have win xp service pack 2, 3 GB ram, my budget is 4k. Please suggest the appropriate size and company. Hello, for under Rs. 4000 you will be able to get yourself a USB 2.0 500 GB external hard disk from Transcend, Buffalo or Adata. If you can extend your budget to around Rs. 4500, you can get the Seagate GoFlex USB 3.0 500 GB, which I personally recommend or the Western Digital Passport USB 3.0 500 GB. I am keen to buy a 1 TB external hard drive. I am confused between Seagate Expansion Portable 1 TB USB 3.0 Hard Drive,Seagate Free Agent GoFlex 1TB USB 3.0 Hard Drive (Black) and WD My Passport USB 3.0 1 TB External Hard Disk (Silver). Please recommend. Hi iam planning to buy a 2TB(i have lot of HD videos) external Hard disk but confused between the following two models please suggest me which one is the best. I recommend the Seagate FreeAgent GoFlex. I am planning to buy a 1 TB 2.5″ external HDD. While looking at the specifications of various HDD’s no one says anything about buffer size, etc. Is that not important ? Because WD My Passport 1 TB and WD Essential 1 TB both look same hardware wise, but there is some Rs 600 difference between the two, My Passport being the expensive one. How do I compare various HDD’s in terms of speed ? I am confused between Verbatim, Buffalo or WD. Earlier also someone asked about the difference between WD My Passport and WD My Passport Essential, it’s just a bit of software bundled and nothing else. Internal performance wise they’re the same. Buffer size, spin rate and such are all the same as well to keep the power consumption down. I suggest you get the WD. Hi, also one more question. My laptop has an eSATA port but no USB 3.0. So, are there eSATA portable HDD’s still available in the market. Would you advise buying a eSATA HDD or USB 3.0 ? You can probably buy a USB 3.0 HDD and get an adapter. @Rahul Gondane, thanks a lot for the promt reply. I am searching for an adapter compatible drive. I guess Seagate has one model. Hi whats the diff between hard disk with and without TB and diff between TB1 TB2, does it effects the speed or storage area, as i want to store Music,doc,pic,videos plz let me know. “TB” stands for Terabyte, it’s a unit of storage. 1 TB = 1024 GB. It means you get more storage space. I want to buy a external hard drive with the cost below Rs7500. Can u please suggest me a good one. I want to store a lot of data and also want to have a good performance hard drive. Go for http://www.flipkart.com/wd-my-book-essential-3-5-inch-2-tb-external-hard-disk/p/itmczc2jadygn3tz?pid=ACCCWSN7AAJGTKND&ref=86a0473d-a1fe-41b7-8572-fb18e80c38d0 or http://www.flipkart.com/seagate-backup-plus-2-tb-external-hard-disk/p/itmdgz3vegqq7dfs?pid=ACCDGZ3TZTMNX6BE&ref=86a0473d-a1fe-41b7-8572-fb18e80c38d0.